Once your archive is set up, the archive manager should make a risk assessment regarding the archive collection and have a disaster plan in place for emergency implementation. The disaster plan should be fully compatible or integrated with any business continuity planning undertaken by the company. 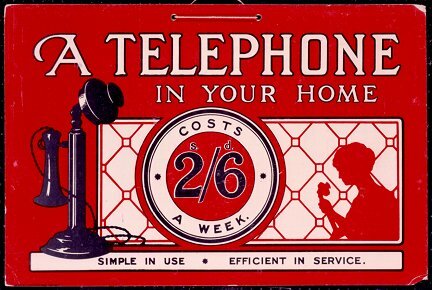 Telephone adverstising poster. Image courtesy of BT Heritage.